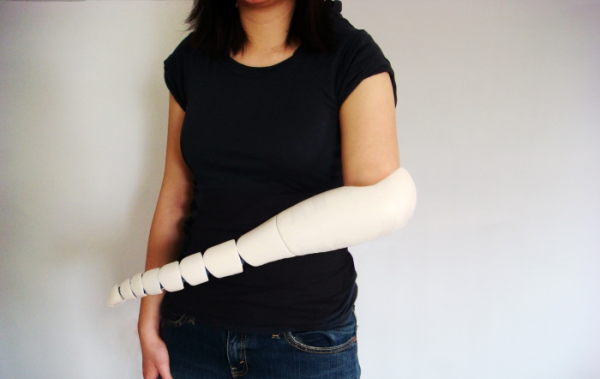 A prosthetic arm that is both flexible and adjustable in order to grip a variety of objects. 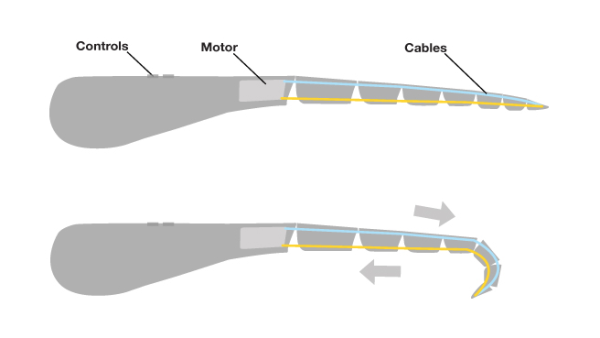 The Motor winds a cable while releasing the other, causing the arm to curl. 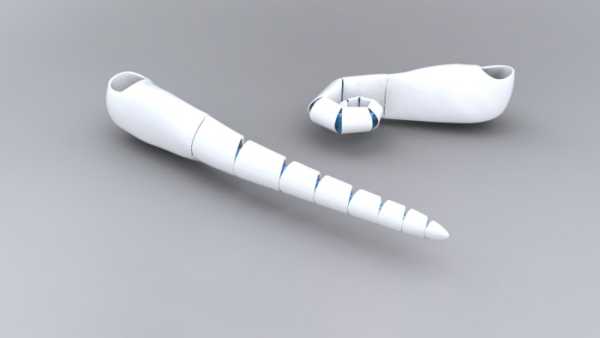 Releasing the cable will return the arm to its normal position. 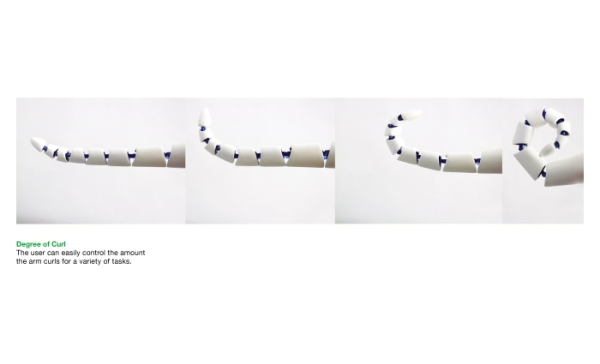 The visually-impaired can re-experience images by fabricating a tangible scene of it.